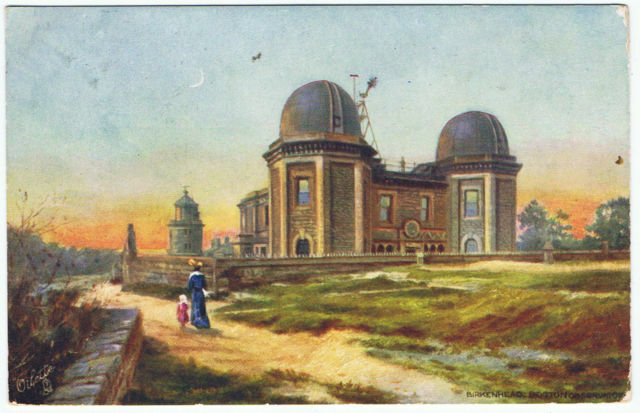 Bidston Observatory – that iconic symbol of Liverpool’s scientific, industrial, and maritime heritage – should be celebrating its 150th anniversary this year. Instead, it is threatened yet again by unsympathetic, inappropriate development. Bidston Observatory was built on the grounds of Bidston Lighthouse in 1866 by George Fosbery Lyster, Engineer-in-Chief to the Mersey Docks and Harbour Board. The same man re-built the lighthouse a few years later, and renewed the perimeter wall enclosing the site. The site today looks much as Lyster planned it, wanting only a little loving care to remedy a few years of neglect. But there is a real and present danger. Bidston Observatory is back on the market again, as the Wirral Globe, Liverpool Echo and the Media Penguin have noticed. Now that the news has broken, it is time for us at Bidston Lighthouse to explain our position, and do what we can to disabuse potential developers of the notion that a residential development at Bidston Observatory would be welcome. We are committed to preserving Bidston Lighthouse and Telegraph Station, and operating the Lighthouse tower as an educational resource and visitor attraction. We see ourselves as temporary custodians of the building, with a duty to preserve the possibility of a future reversion to public ownership or at least a use sympathetic to its heritage with a significant public-facing component. We still hope that a sympathetic owner with compatible intentions can be found for the Observatory. A residential development on car park of Bidston Observatory could force us to abandon our ambitions for the world’s most inland lighthouse. It is hard to see how we could continue to open the Lighthouse to the public if that were to happen. We would, of course, oppose any proposal for such a development with all the resources at our disposal. We will happily support proposals for future use of the Observatory that are sympathetic to its heritage, sustainable and allow some form of public access. We would support a proposal to convert the Observatory into a dedicated museum and visitor centre. We just don’t think it likely in these uncertain times. We would not look kindly on any alterations or subdivisions (such as conversion to flats) that would permanently preclude such a possibility. We are aware of one proposal from a potential buyer that meets all our criteria: to operate the Observatory as an artists’ retreat, incorporating a museum and exhibition space that will be accessible to the general public. We would be delighted to see the Observatory used in this way. The advertisement on the auctioneer’s website describes the property as “an exciting development opportunity” with potential for eight new dwellings in the Observatory grounds. It is probable that such a proposal would also require listed buildings consent, as these dwellings are within the curtilage not only of the Grade-II listed Observatory, but also the Grade-II listed perimeter wall that encloses the site. No such plans have actually been submitted to Wirral Borough Council. This is not suprising, for such a proposal would outrage the local community. Only a developer totally lacking in fear and social conscience would start that battle. The same advertisement also mentions an “expired planning consent for 4 mansion apartments app ref APP/12/00536, likely to be granted again”. The advertisement does not mention that the change of use was linked to a Listed Buildings Consent (LBC/12/00537), which was granted subject to an extensive list of conditions. Neither the current owner nor the Natural Environment Research Council (NERC) who obtained the consent made a meaningful start on the works within three years. So the listed buildings consent lapsed three years later on 5 July 2015, and the permission to change the use to residential expired with it. It is not at all clear that this application would be approved on re-submission. In 2012, the community consultation exercise resulted both in letters of objection and letters of support. We have reason to believe that those who expressed support in 2012 have since reversed their position, and would likely be opposed to a fresh application to convert the Observatory to residential apartments. Any developer who is still considering making a bid for Bidston Observatory should also be aware of the following. 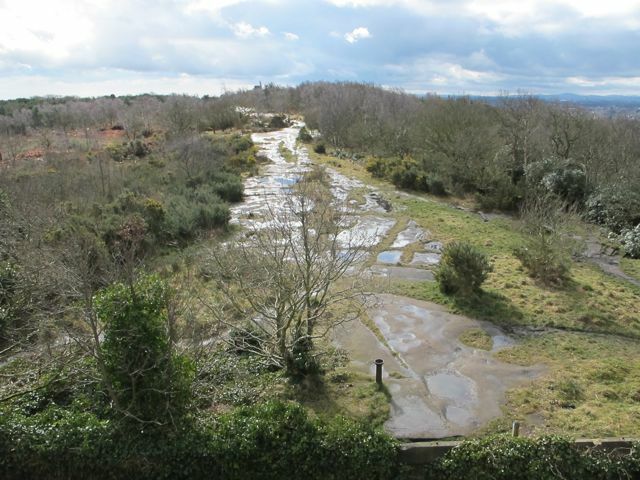 The Observatory and the site of the former Braehead Cottage were sold to Bidston Observatory Developments Limited (company number 09109510) for the stated price of £270,000 on 15 April 2015 (the anniversary of the Hillsborough disaster and the sinking of the Titanic). The two titles were amalgamated into title number MS621814. At the time of the sale, the directors and shareholders of Bidston Observatory Developments Limited were Craig Malcolm William Blackwell and Jason Woltman. Craig Blackwell was the company secretary. On 16 June, 2015, Blackwell and Woltman ceased being directors and shareholders of the company, and Antwon Bonnick became the sole director and shareholder. On 5 August 2015, Cheryl Bernadette Galvin became a director of and the majority shareholder in the company. Company accounts made up to 31 July 2015 were due on 1 April 2016. On 28 July 2016, they were still overdue. The Observatory is currently occupied by “guardians” who pay rent to Camelot. According to an advertisement on the Camelot website (retrieved 24 Jun 2016), rooms are available from £60 per week, and the amenities include two shared kitchens. Nine guardians live in the building, a further two rooms being uninhabitable because of water damage, which is believed to have occurred after Bidston Observatory Developments Limited took possession of the Observatory. 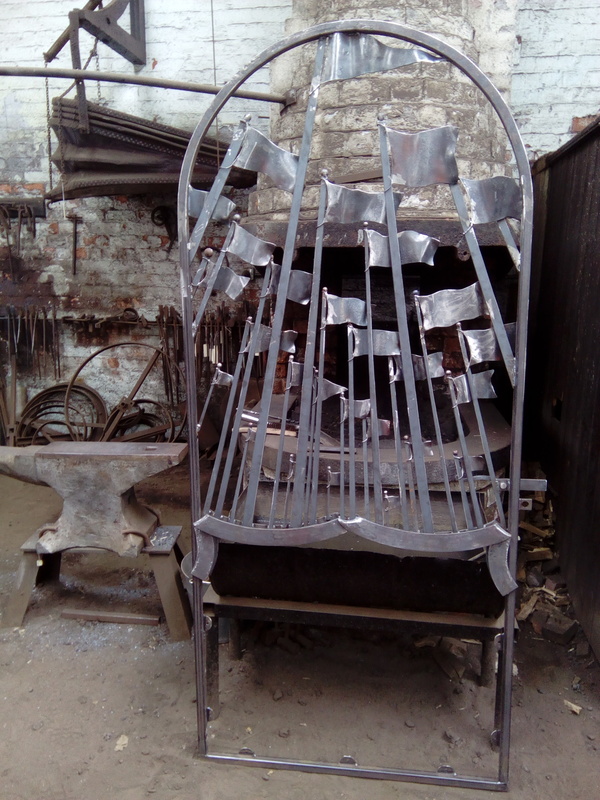 It is rumoured that internal alterations have been made to the building that should have required Listed Buildings Consent, including the installation of a new kitchen and shower cubicle. The entire building is rated as a single band B for council tax purposes. This is anomalously low for a building of such size, and reflects the internal condition of the building. It is also anomalous that a building whose last lawful use was as offices should be subject to council tax instead of business rates. The Observatory is approached by Wilding Way, which although owned by Wirral Council, is not adopted. Wilding Way is only wide enough to take a single vehicle. It is regularly crossed by dog walkers, horse riders and wildlife. 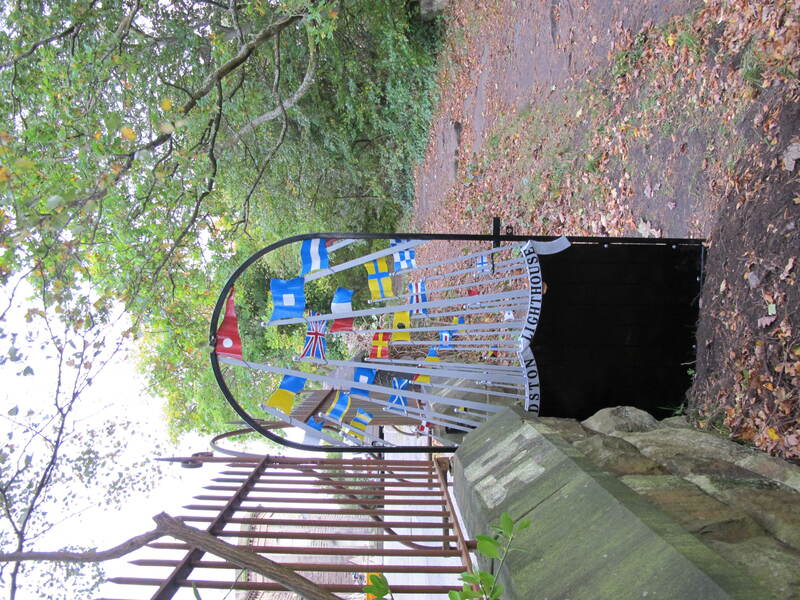 To widen the road would compromise the amenity of visitors to Bidston Hill Recreation Ground and the wildlife that inhabit it. 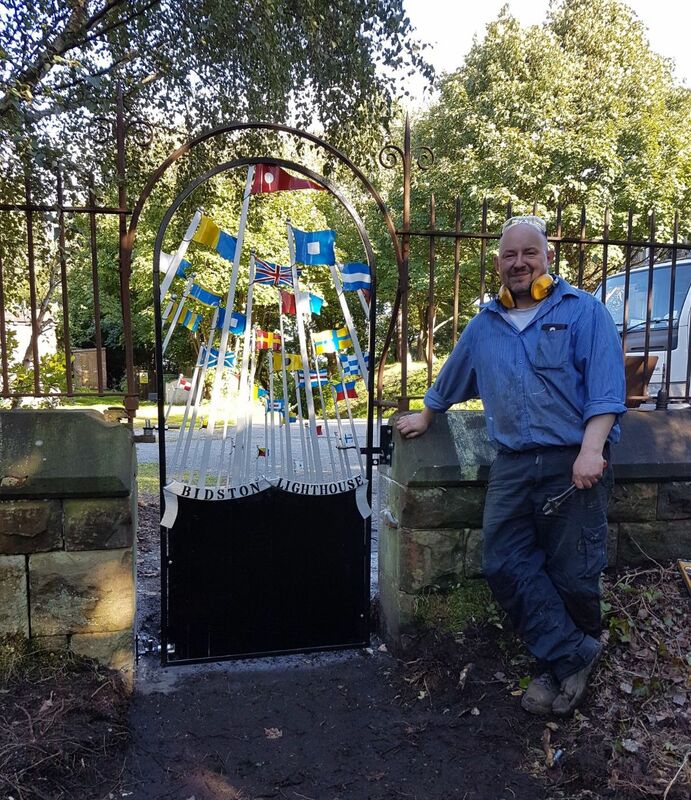 This entry was posted in Bidston Hill, Lighthouse, News and tagged Bidston, BidstonHill, BidstonObservatory, Heritage, ListedBuildingConsent, Lyster, Planning, Wirral on 29th July 2016 by admin. Prospective buyers have only until 30th November to make their “best and final offer”. This seems a little rushed, given that the advert appeared in Wirral News only last week. I hope the new owners appreciate what an important piece of Merseyside heritage they are taking on. The Observatory was built in 1866, when the expansion of Waterloo Dock forced Liverpool Observatory to re-locate to Bidston Hill. It was built alongside Bidston Lighthouse and Signals Station, on land owned by the Mersey Docks and Harbour Board. John Hartnup, astronomer and Assistant Secretary to the Royal Astronomical Society, had been the Director of Liverpool Observatory since it was built in 1843. 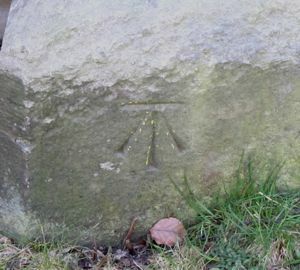 Amongst his achievements was the calculation of the longitude of Liverpool, which was important for navigation and the development of the port. He presided over the move to Bidston Hill, and continued as director of Bidston Observatory until his retirement in 1885, when he was succeeded by his son. The second director, John Hartnup Jr died on 21 April 1892, when he fell from the roof of the Observatory while making meteorological observations. 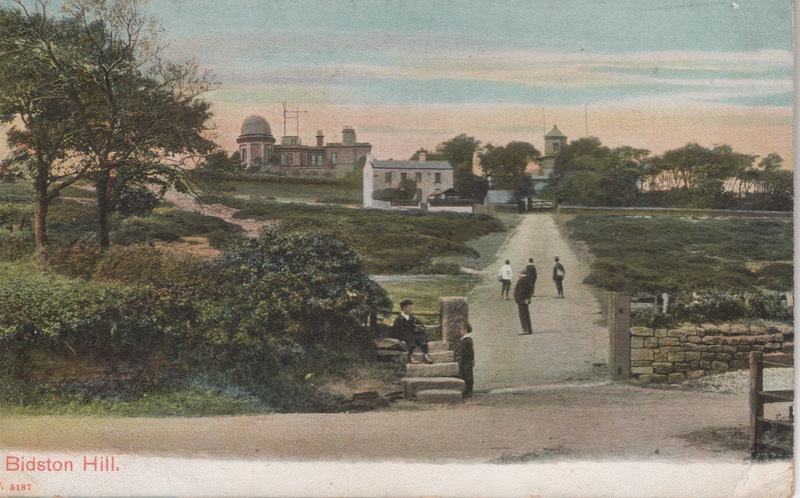 The Observatory, Lighthouse and Braehead Cottage from Boundary Road, postmarked 1909. Of Time. The progression from observations of the stars, to the determination of longitude, to the calibration of chronometers was a natural one. The Observatory’s two levels of cellars and other features made it especially suited for calibrating chronometers under controlled conditions of temperature and seismic vibrations. Marine chronometers from all over the empire were calibrated at Bidston. The One-O-Clock gun at Morpeth Dock was signalled from the Observatory by electric cable. 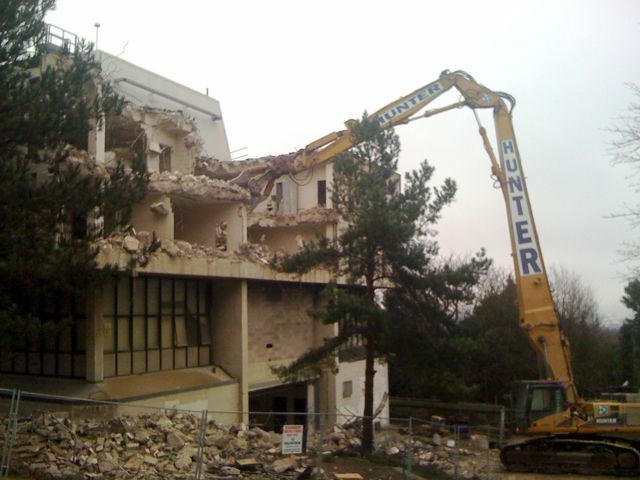 In 2004, the Proudman Oceanographic Laboratory moved from Bidston Hill to a new building at the University of Liverpool. Their oceanographic research is still continuing today, but now in the guise of the National Oceanography Centre. NERC’s plans to sell the site to a developer aroused opposition from local pressure groups, and the spectre of an eleven-story high-rise residential development was averted. Bidston Observatory has featured on TV on several occasions, including episodes of Coast (Series 7, Episode 5: “The Riddle of the Tides”), Inside Out, and Where’s Fred. 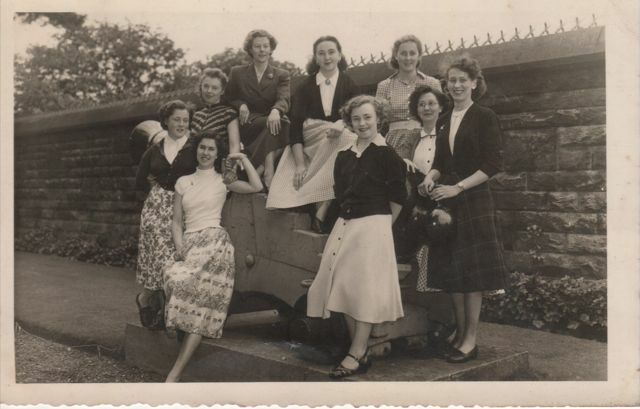 Joyce Scoffield, who used to work in the Observatory, has written a book about it: “Bidston Observatory: The Place and the People”, 2006 (available on Amazon). J. Eric Jones wrote “From Astrononomy to Oceanography – A brief history of Bidston Observatory”, which you can download from the NOC web site. View from Observatory roof, March 2013. 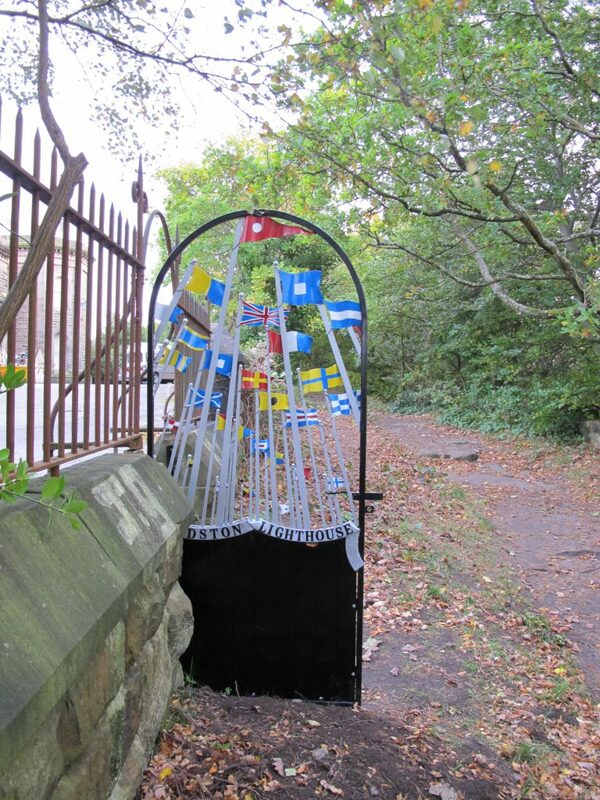 This entry was posted in Bidston Hill, History, Lighthouse, News and tagged Bidston, BidstonHill, BidstonObservatory, EnglishHeritage, JosephProudman, ListedBuildingConsent, NERC, News, Observatory, Planning, Wirral on 17th November 2013 by admin.